When you hook up your refrigerator in your kitchen, it's possible that it may be sitting on an uneven floor, especially in an older home or cottage. While this problem may not seem that bad, this may prevent the doors on the refrigerator from opening or closing, and items inside may slide off the shelves if the appliance is lopsided. In extreme cases, the fridge could pose a tipping hazard. Leveling a refrigerator is easiest if you have someone helping you. A fridge must sit level for its doors to swing open properly. Set the fridge in its designated location and push on each of its front corners to determine which areas are not level. If you can push diagonally backward from the front left corner, for example, either the front left or back right corner is low. 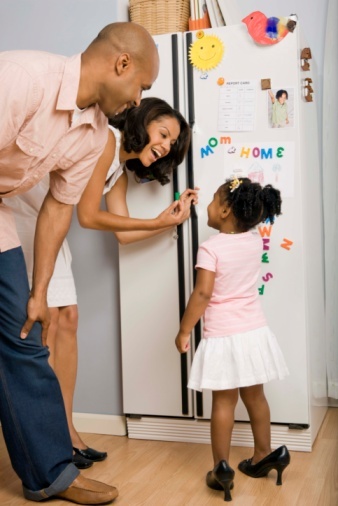 Recruit a friend or family member to rock the refrigerator up so its front feet are exposed. 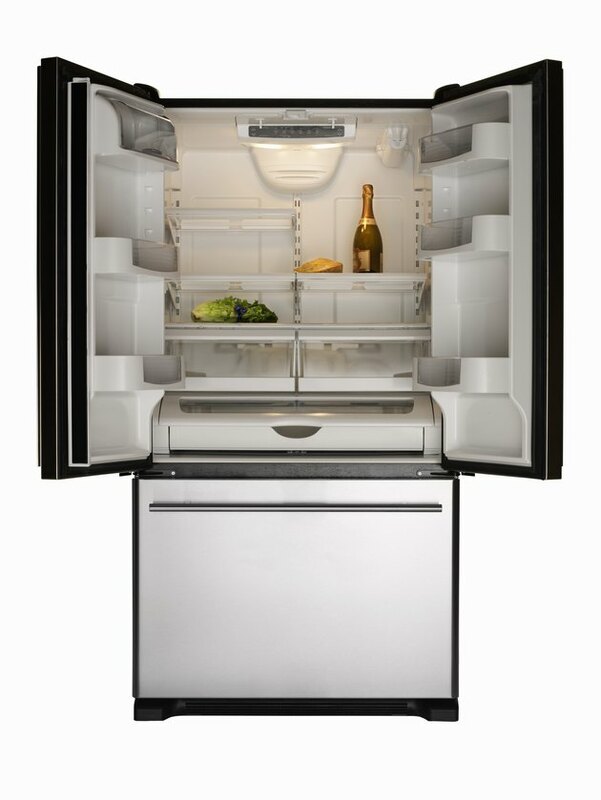 Most fridges have adjustable feet that lengthen and shorten by rotating them. Turn the foot that needs to be longer or shorter in the appropriate direction then have your assistant set the fridge back down. Push on the fridge again to see if it is level or needs further adjustment. Adjust one or more feet again, as necessary, then set the refrigerator back down and see if it is level. If it still is uneven, find some small, 2-inch wood shims. Ask your helper to rock the fridge up again and place one or more shims under the foot on the corner of the refrigerator that needs to be raised. Set the fridge back down and check for level. Add or remove the shims as needed.